This is it, the final installment of the PACE method! With this final pillar, you’ll have a solid foundation that you can use to build out your brand and plan for the future. On this episode of The Amazing Seller, you’ll hear from Scott and Chris as they dive deep into the final pillar of PACE, expansion. In their conversation, the guys explain why diversification is so important, how automation can help your business, the difference between hot and cold traffic, and so much more! Don’t miss a minute of this helpful episode! Diversify as soon as possible! 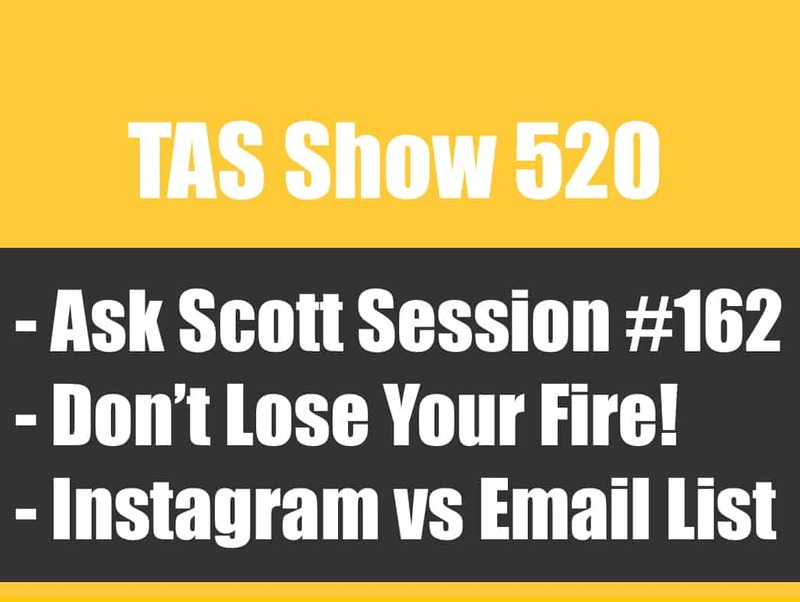 If you’ve been around the TAS community for very long, you know that Scott and Chris are passionate about helping sellers like you build a solid brand that can thrive outside of Amazon. While the guys often teach that Amazon is a great starting point, especially for sellers who don’t have a lot of resources right out of the gate, the goal is always to move from dependence to independence. The last thing you want for your brand is to wake up one day to hear that for some reason or another, you’ve been shut out of Amazon. Do what you can to start working toward diversification as soon as possible. Learn more about his important topic by listening to this episode of The Amazing Seller! How automation can set you up for long-term success. Did you know that there is a way to set up systems and processes that will replace your role in your business? It’s true! Gone are the days where small business owners have to wear every hat in the office. Now sellers like you can utilize a vast array of tools that will free up your time and allow you focus on big-picture steps for your business. To find out how you can get out your own way and unlock the potential your brand has for growth, make sure to listen to this episode of The Amazing Seller as Scott and Chris explain how they’ve done it! Don’t just pick and choose, use the whole PACE method! While it may be tempting to go through the PACE method and cherry pick which pillars you want to use and which ones you don’t, that may set you up for failure. Scott and Chris carefully went through each step identifying how they all support and build off of each other. On this episode of The Amazing Seller, you’ll hear from the guys as they finish painting the picture and reveal how each step of PACE works. Make sure you have all the tools you need for success by walking through PACE and understanding how it can apply to your business. For a more in-depth exploration of each pillar of PACE make sure to check out the links in the resources section at the end of this post! PACE is a tool you can keep coming back to. Are you aware that most successful businesses use the PACE method? While they may not call it PACE, this process has been compiled because of its real-world viability. In fact, looking back at his construction business with his dad, Scott can clearly see how the PACE method could have worked and allowed them to keep the business growing. Don’t assume that you’ve gone too far to utilize PACE, it’s a tool that successful leaders will keep coming back to! To learn more about PACE and how it can help your brand grow, listen to this engaging episode of The Amazing Seller! [4:00] Introducing the final pillar of the PACE method; Expansion. [7:00] Why you’ve got to expand and diversify your brand. [15:30] Automation can set your business up for long term success. [20:30] Work on your business not in your business! [28:00] Scott recaps the four of the five aspects of the expansion pillar. [32:30] What is the difference between hot and cold traffic? [34:00] How the whole PACE method works together. [38:00] Any successful business uses the PACE method, if they know it or not! [44:00] Scott talks about how PACE could have helped his construction business. [51:00] Closing thoughts from Scott and Chris. …continue our mini-series here on PACE and we’re going to be talking about the E in Pace today, which is expansion. How to grow and scale your business. Now, if you guys are just showing up to the party, well you got to go back and listen to the other episodes. So this way here you can be up to date with what we’re talking about here. Because this is four pillars that’s going to help you build your business. A business that will last and you guys are going to be able to adapt this to your business. All right, so with that all being said I’m ready to rock and roll. Chris Shaffer is with me once again and today we’re recording this in a hotel room together because, well that sounded a little weird. But we’re in a hotel room together recording this because we wanted to get this last part of PACE recorded and really dive into this expansion portion, this pillar. So Chris, are you ready to rock and roll? [00:01:06] Chris: I am. And I’m going to be honest Scott. This is where all the glory in business comes in. This is where everybody wants to be all of the time. And it’s really growing and expanding and doing all of the “fun” business things. But it’s kind of unimportant if you don’t have the other three. You have to have those other foundations in place before we can start to do any of the stuff in this expansion PACE. So I’m pumped up. I think people are going to get a lot out of it. I know I don’t sound very excited. [00:01:36] Scott: No. Well you are excited. [00:01:40] Chris: But that’s just me. [00:01:40] Scott: That’s just you. But yeah, we’re going to dive in to this and I just kind of want to recap a little bit and kind of talk about the P, the A, the C. And basically how everything really fits well together. Inside of all of these different pillars we’ve really taken what has worked for us in the past, other people that we’ve worked with in the past. You’ve got a long history working with other successful business. I have as well. I have actually built several and a lot of these things now that we’ve kind of distilled it down and broke these things down it makes a lot of sense to go through this process. And if you look back at any successful business the preparation phase or the building a foundation like we look at the PS preparation or preparing the foundation and the foundation is really, really important because we can’t really build the roof until we get the foundation in place. It’s like building a house. I always go back to the construction theory because that’s where I came from. Right. And it makes a lot of sense. If you build something you have to have a strong foundation. And that P is very, very important. This is also something that we talk a lot about inside our inner circle. We have our own inner circle, our own mastermind where we really dig into other people’s businesses and we’ve recently had a meeting with our inner circle members and this is exactly what we’re working on with them but also how they’ve build their businesses to be successful. I know we don’t talk about it a lot but I did want to bring that up. If anybody is interested in learning more about our inner circle you can head over to TASinnercircle.com. It is an application process but we do work with successful businesses. I get a lot of people that want to do one on one coaching. I know you do as well. We don’t do that. We do these inner circle meetings, it’s what we do. We meet with them three times a year. Once a month. We meet online and we really work on their businesses. But I just want to throw that out there. A lot of this right there is coming from working with other successful businesses. [00:03:42] Scott: And also the businesses that we’ve built that have been successful. And it really does come down to these four pillars. I just want to throw that out there. So again guys. If you’re interested TASinnercircle.com. Like I said, there’s a qualification process there but if your business is at that stage where it needs some help or you’re just stuck and you want to grow and scale and expand your business definitely check that out, we’d love to work with you. So all right, let’s dive into the expansion phase. Where do you want to start with this Chris? [00:04:12] Chris: Let’s start with diversification I think. And I think there’s five things we wanted to cover today. [00:04:16] Scott: Yes there’s five different things. [00:04:19] Chris: Each of these pillars has some like sub pillars if you will that we kind of need to cover. I think diversification is something we should probably dive into to start with. [00:04:27] Scott: Yeah, it’s really big and I like to look at it as… There’s different ways you can look at it but think about like a chair. Like a chair that has one leg probably isn’t going to stand all that well. If you have four legs, well probably stands a little bit better. You have three, it will maybe stand at a certain angle but it could probably still collapse. So I like to look at a business as like you need other ways for it to support itself. Not just on one leg. A good example is someone in our inner circle. I’m not going to expose the name or anything but he has a very successful business. But it’s built on like two products right now. Now, he’s got a ton of opportunity in this market but he’s built the business off of these two products. Doing like 200 units per day. Well, recently just had an issue with one of his products, not his fault, manufacturer problem. And well, Amazon decided to say, “Hey guess what, we’re going to shut your listing down for right now until you get this thing fixed.” Well guess what? He’s losing money every single day. Now, if he had three of four or five other products that were supporting the brand, well, then he’s not so much concerned. He wouldn’t be 100% turned off. The revenue might have gone down but he’s not completely turned off. Right now, completely turned off. [00:06:28] Scott: What do you want to say on that? [00:06:30] Chris: I think there are two things that people need to pull out of that right. In this expansion phase what we’re really talking about is not just product expansion, that’s a natural and easy thing to do especially if you’ve done the other three things correctly, especially that preparation foundation. If you’ve done your market selection correctly it is actually very easy to find additional products, 100%. And if you’ve done your attention and your cultivation correctly, you can launch even the most competitive products in those spaces successfully and we’ve seen that even in the new brand. But the other thing and Scott this is something you and I hammered on over the last probably year and a half maybe two years I would say which is being channel dependent. And Amazon I think is a great example. It’s kind of living in North Korea where they just have complete control over everything and you can wake up one morning and all of the clothes you own are now illegal. Right. Everything that you’ve done for your entire life is now banned and you have no control over it. And while it’s great that they take care of all of our basic needs. They feed all of our sales. They are a great place to start up for us. We can’t be completely dependent on them long term. Amazon is where we like to launch because that’s where all of the traffic is. But it is not the thing that is going to keep our chair or our table balanced long term. We need to start bringing in some other legs to prop that table up. And so having our own channel to sell some stuff in. Finding maybe another marketplace like a Walmart or something like that might be nice to add another leg. But not just on the Amazon side of stuff. We don’t want to be too dependent. Let’s say we have… Say we have a brick and mortar business. We don’t want to be just dependent on word of mount to bring traffic to that. We want to have ads running too so we can bring in people who already don’t already know about our store. Same thing here, we want to have an email list. We want to have a Facebook presence. We want to have all of these things at some point. This expansion phase is where we start to branch out into other areas so that we can shore up every effort inside of the business. Whether it’s pure sales, whether it’s our marketing, whether it’s any of those things. [00:08:29] Chris: And like we talked about in the attention phase. If we want to get really good at having Facebook ads that’s great. But in the expansion phase we need to start looking at what can be our secondary channel because if Facebook goes away tomorrow then we’re out of traffic. Does that make sense? [00:08:44] Scott: Yeah, every channel you don’t want to be dependent on. Whether that’s your traffic source, whether that is heck even going down to your hosting, you should be able to have a backup in a sense to where like if that goes down within a phone call you can basically switch things over. It’s the same idea. Like we don’t want to be dependent on it. If you’re only selling on eBay, well that’s a problem. We want to be able to start to branch out. I would almost say imagine you’re building your business without Amazon. Try to think of it that way. Not saying don’t do the… Amazon right now is running for you. Let’s say it’s running. You’re doing great. But pretend that you have to build your business without that part of it. And then this way here it’s going to force you in a sense to build your business outside of just Amazon. Now you have to me like the best of both worlds. You get Amazon traffic, we want that. Here’s another example Chris. Okay, Prime Day wasn’t that long ago. 3:05 or maybe 3:01, everyone was panicking because it crashed. They crashed the servers. Like no one could get in. People were panicking. Not even sellers were panicking. People that were buying products that didn’t want miss out on the sales were panicking. And we had people in our own audience of our new brand that were upset that Amazon wouldn’t let them buy. So it’s a great thing to have but in the same breathe that’s one channel that if that’s what you’re relying on, you’re in trouble. And I think all the sellers seen that first hand. That they ether holy crap, if we don’t fix this thing we’re going to mount on a day’s worth of this huge rush of sales. Now, we knew that they were going to get if fixed, they have a massive team and different people that are going to work on that to get that up and running. And who knows they might extend it if it was too long or something. We don’t know. They would have made it right. It ended up working great. We were up 42% from last year. Up 42% in sales. Just a crazy, crazy day for us in the new brand, that isn’t even 18 months but 19 months old. But my point is this, it’s a channel and we’re saying yes. Well, don’t worry about that. What market can you find that wants to find products that you could good marketing to sell to that person? That’s what you need to be thinking not just how do it sell it on Amazon? It’s a different approach but if you’re building a long term business that’s how you would do it. [00:11:54] Chris: That I think is really the foundation of all of this stuff inside of PACE that we’ve talked about. All four of these pillars are to help you build up a brand that’s going to last. If you’re looking to get rich quick, you might not have to do this stuff. But I would also say that there’ no such thing as get rich quick and that you should probably even be doing this if that’s your goal. The numbers look great but it’s not going to make you a billionaire overnight and if you think that it is then you’re doing it wrong. The other thing and the reason that we talk about this, Scott is not everybody wants to have this as an asset that they pass down to their kids and their grandkids. We don’t need to be the Rockefellers here but maybe I want to build a business and I want to sell it. Well, the foundations of this stuff in PACE are the “real” business things that actually make the business worth more. As we start to shore up the business with these pillars we add multiples to the business. So if we ever want to sell it if we just have that preparation foundation, we have a handful of products, we’re selling pretty well we’re going to get a lower multiple. If we have attention in those products, we’re going to get a bit better. If we have attention and cultivation in those products, we’re going to do even better and if we’ve then expanded our market maybe to a higher market maybe we’ve added some more products, maybe we’ve added a second channel we an even better multiple and makes the business worth more while also making it more stable for you in the short term. It’s really about having some redundancy there. I like the prime day example because Amazon has all of these systems that they’ve built so that exactly what happened doesn’t happen. It was kind of the case of everything can happen will happen all at once. Some of their systems failed but guess what, some people could still get through to the site. If they wouldn’t have built the backups that they had in place no one would have been able to buy anything until they fixed it. They still had some things that they could do and one of the things that they did was they turned off international traffic to the ‘.com’ site. [00:13:59] Chris: And that brought it 20% all the way back. So they pulled that lever and they had that in place and then they found what was the real issue, they were able to correct it and everything came right back. But if they wouldn’t have been able to pull any of those levers, nobody would have been able to buy anything. And it’s the same thing in your business. If one of your channels goes down it’s nice to have another one. Even if it’s only 20%. Because then we’re not cashed out, we’re not cash poor and we’re not panicking. There’s still urgency but we can resolve panic and panic is where stupid decisions are made. There’s a difference between urgency and panic. [00:14:35] Scott: Absolutely. So that really covered actually one and two. We kind of brought those two together. So one is diversify and diversifying we’re talking about channel dependency. We don’t want to be channel dependent so again just to give you guys some ideas, that could be another channel like eBay, like could be another one like Walmart. Like whatever that is or it could be your own funnel. I prefer to be…. or wholesale. I would prefer to have my own funnel, my own email list to drive traffic. Like that’s how I would think of diversifying first. But if you have an easier way for you it’s going international or whatever it is, have that in place. Now, this is something you can always go back to and add more channels but right now you got to start with one. The second one is adding more products to your product line so this way here you’re not dependent on just that one product. So we’ve kind of illustrated that pretty good for these guys. All right, so number three is automation. I want you to talk a little bit more about this. This is kind of in your wheelhouse but automation, what does that mean for a business? [00:15:38] Chris: I think three and four actually go together here. And the reason I say that is I’m going to call this duplication. So how can we duplicate ourselves inside of our business so we can get more done with less of our time? And there’s two real keys to that and this is where this should happen. We need to have the other three things in place before this is really a big idea for us before we’re going to start to worry about duplication. Because if we’re doing the preparation foundation, if we’re getting the eyeballs, if we’re doing the cultivation stuff, we do start to run short on time. And unless you love being all over the place and being busy, notice I said busy not productive but busy then you can do this all yourself for the long term for ever if you really wanted to. But if you’d like to, I don’t know, breathe once a while, maybe go on vacation, go somewhere with your family, do something nice. It’s nice to be able to duplicate yourself, whether that’s through having a team or through the animation stuff. Automation is great and for me any time there’s something in our business that we either don’t want to do on a daily basis or something that’s just utterly repetitive and drives me absolutely bonkers we go through a process. And the first thing is can we automate it? Is there a way to do this where no one has to look at it? [00:16:58] Scott: Give us an example. [00:16:58] Chris: So the example that I will give here that I think everybody can relate to is Amazon PPC. And I like PPC. I hate doing it all of the time. I like being able to make the executive decisions and a tool like Ignite gives us the ability to automate a lot of that process so that all I have to do is make the decision. I don’t have to analyze the data, I don’t have to do any of those things. So I was able to take a process that would take me a couple hours a week and cut it down to five minutes. Because Ignite is sitting there looking at the data. Well it makes sense to me to save several hours a week by paying whatever you need to pay to do that. If it was five grand a week that’s a little different depending on the plan you’re following in Ignite, it’s somewhere around $100 or less. So that’s one example. Another example would be like customer order data. You don’t really get a ton of order data from Amazon. But one of the things that you can do is you can take those customer names and addresses and zip codes and all those kinds of things and create either an overlay of where all your sales are coming from, if you want to see that just because you’re curious, you can use them for custom audiences. You can do a lot of cool things with them. There’s not really a way to get that unless you go in every month and download the report and do all those kinds of things. Really it’s not. There’s a lot of things out there now especially that can help you with this process. Like a tool we use called Zappier. Just it plugs two different pieces of software that don’t work together, together. And it lets you do things like automating that process. [00:19:01] Scott: Yeah, it lets you communicate back and forth, which I think it’s huge to be able to do that stuff but I think what businesses need to do at this point is they need to see where the easiest piece of automation or the thing can be automated first. Like what could you take off your plate? [00:19:21] Chris: And that process starts with automation and then if we can’t do it then it’s delegation. [00:19:25] Scott: And the delegation would move into the fourth thing that we want to talk about which is team. Building a team. You might into want to automate a certain thing because you want eyeballs on it. You want to actually have someone go through it. If you don’t want a tool to basically go through your pay-per-click, well maybe you want to hire someone that that’s all they do. And then that’s their job. Or maybe you have someone that their job is just to look at the data that Ignite pulls back and makes the decision for you because you don’t want to make that decision. So there’s some different things you can do there. But I think team and automation is close. Automation is really like a tool that will do that for you. A team or building a team where people can actually work on your business for you. There’s a lot of leverage there as well. [00:20:17] Chris: You just used a slip of the tongue there that I really like. The whole reason that we’re doing number three and number four here, this automation, this delegation, this duplication of ourselves it’s because a lot of business owners, especially successful business owners and you’re talking about people in the Inner Circle, people in the masterminds that you and I are participants in have an issue of being in their business. You guys may or may not have heard this. And I know you and I actually talked about it in the past working in your business versus working on your business. As the business owner, your job as the CEO, the whole reason the big companies have a CEO is because they want to have somebody that has a 5,000 foot view of everything. Right, they are not executing the day to day stuff. They are setting the strategy and the vision. They are working on the business. They are pushing the entire business forward. That’s their job as the owner, as the president, as your own little CEO, if that’s what you want to put in your business card. That is your job long term. In the beginning you are doing all those things yourself. But as you get bigger, as you start to sell more you literally cannot do everything yourself. You just run out of hours. [00:21:28] Scott: And you won’t be able to grow. It’s going to stunt your growth because you can’t do it all. We’ve all been there. [00:21:35] Chris: And quite honestly you shouldn’t do it all. 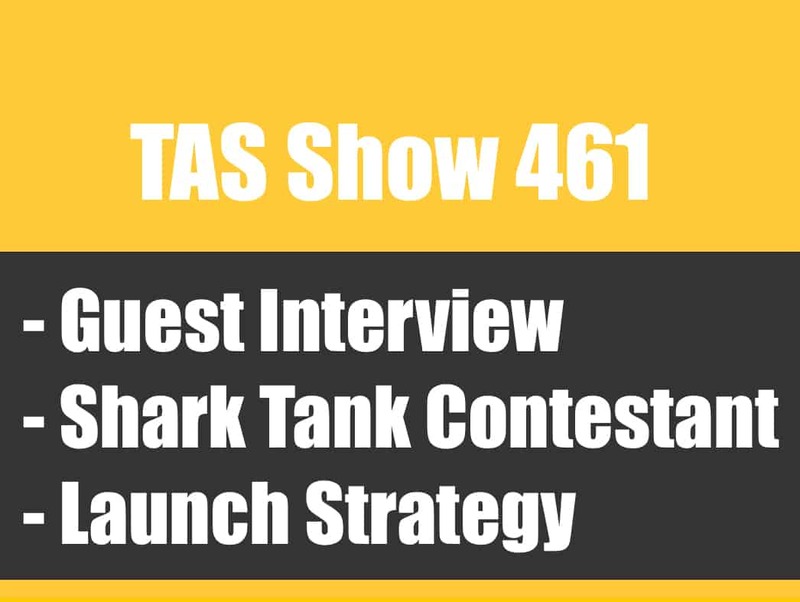 [00:21:48] Chris: I think most business owners found that exact trap. Joe and I have literally have literally had that conversation about stuff in TAS, in the new brand like it’s just faster for me to do it. He’s like, “Yeah but should you really be logging in and checking PPC three times a day?” Probably not. And then you can just go ahead and make that decision. That could be something. So there’s a lot that you can do there but I think having a team… And it’s going to take time. You might have to go backwards a little bit and then from there you’re going to be able to move forward. [00:22:53] Chris: Well, and that’s the scary part of this process and remind me to tell the story about The Profit in a second. The scary part about this process is one you’re giving up that control. You know that it’s going to be done a certain way if you do it. But two is in doing this automation, delegation, duplication thing, if we’re trying to create little mini Scotts which is terrifying. [00:23:12] Scott: That is terrifying. There’s one actually though that was running around is my son. [00:23:27] Chris: He’s a large human. …Is that it actually takes more time upfront because to get all of the crap out of our head that we do on a daily basis and to get it down into a process that someone else can do is actually much more time intensive in the short term than doing it ourselves. And that’s why a lot of entrepreneurs fall into this trap of I’ll just do it myself because it’s faster. It’s going to take me… Like the next time I do this process if I write down every button that I click on, it’s going to take me two hours to do it. It would normally take me 25 minutes. Because I need to write down everything, I need to explain why I’m clicking here, why I’m doing this. And then to then make sure that that makes sense to somebody after I hand it to them, it’s going to be another maybe four hours. Well, that’s worth six weeks of me doing that thing that was going to take me 25 minutes a day. Yeah, but then you never have to touch it again. And so it’s one of those things where you do actually do work Upfront and even the automation side. To figure out okay I need to put this here, this here even if it’s in a drag and drop format kind of like Zappier is it does take time to figure out that process. But once that process is done you literally never need to touch it again. And so like, I end up doing a lot of the automation just out of pure frustration of things that I never want to see. And so it takes me more time that just looking at the stupid thing. Maybe even more time it would take me to look at it for the next two weeks. But then I never have to look at it again. And I never have to deal with hit until something breaks and I don’t get the report in my email that I was expecting to get. I can go look at it and it takes me five minutes to go click on a button. That’s fine. [00:25:18] Scott: It’s usually brick and mortar, usually they are not even that big. I mean some of them might be doing up to a million. I think a couple have done a little bit more but generally it’s like a million dollar business or less. Little Mom & Pop shops or whatever. So, anyway, go ahead. They still have their own business, they are still doing all that stuff but they are also doing this now because that’s really their super power. But to delegate and to be able to do those things takes a ton of time and effort and business owners are scared of it. And one of the things that he said and I’m pretty sure it was this season was the owner said, ‘Nobody can do it as well as I do it.’ And you can’t expect anyone else to. But even if they do it 80% as well and in some cases, quite honestly they are going to do it better than you. Even if they only do it 50% as well, is it still worth having someone else do that? The answer in 99.9% of cases is yes. Because it frees you up to do something that is more valuable for the business. And this entire process starts with you basically just writing down everything you were doing on a daily basis. And then going, this is what lights me up, this is what makes me excited, this is what gives me energy and this is just what makes me want to kill things. This is what drains me, this is what stresses me out. This is why I’m going bald. That list is the stuff we should be trying to automate, delegate and duplicate out of lives. And so we need to start with that list. But to even understand that if it’s not done as well as I can “do it” it’s still getting done. And we need to be able to do it. And that’s the only we can grow past that ceiling because if we’re at our eight hour capacity or our twelve hour work capacity or if you’re crazy our eighteen hour capacity, for the day and are willing to work those eighteen hours, is there a not one thing in there that we can offload? [00:27:36] Chris: That will free us up half an hour to do something that will then let us to expand the business. Maybe I can start to dabble on another channel, maybe I can start to do some of those other kind of things. What can I get off my plate to be able to make more decisions and less tactical implementations? [00:27:52] Scott: What I want to do here though is, I want you guys to be listening and thinking of your own business right now. So I’m going to and recap a little bit and then we’ll hit number five. But number one is diversifying. So think about the channel that you are on right now. Or what other channels you could add and what would make the most sense for you right now. What would be the easiest one for you to do now? So again, I want you to think about your business what would be the easiest for you to do right now and any of these. Number two is adding more products. I think we always can be looking at ways to expand our product lines. This also might be the time that you’ve already niched down and you’ve went like really deep in your market in these submarkets and now maybe you’re going to go a level up. Maybe you’re going to instead of going into the Kayak bass fishing market, you’re going to start offering bass fishing stuff. Or maybe you’re going to go up there and go into fly fishing. So there might be a time in your business when you’re like okay, I’ve got leverage now. I’ve went into the A, I’ve gotten the attention, I went to the C, I’ve cultivated my audience. They know they can trust me. I can start to offer some more of these different products in these other submarkets that I wouldn’t have been able to do before because I didn’t have these leverage points. So I want you guys to be thinking where you are right now, what one of these things can you do? You don’t have to do all of these. So when we’re inside of our inner circle people that pay us basically a lot of money, $25k a year to be in this group like they want to be able to build the business, this is what we do. We’re going to analyze and like take one of these things can really go deep to then grow and scale the business. Doesn’t mean we’re going to do them all. That wouldn’t even be my recommendation. I’d say, “No don’t do them all.” One at a time and the easiest one that will give you the best bang for your buck right now. Like that is it. [00:29:48] Chris: And it depends. There is no right answer to that question and that’s the thing that’s interesting because if you have somebody and I’m thinking of somebody who in that last call we had with our mastermind set, I haven’t really done anything…. because I automated everything. Well, let’s focus on product expansion then. Like because we don’t have a time issue here. So how do we make the business bigger, maybe it’s product expansion? It’s not going to be automation because we already got that handled. So it depends on your business in your specific situation. [00:30:14] Scott: Yeah, absolutely and that’s what I want you to be doing right now. It’s like I want you to do a self-audit in a sense. I want you to be looking at the different components that we are talking about and what one could you do right now. Even going back to all of the different things. So now once we get done with the expansion part right here and we’re working on that, then we’re going to go back and we’re going to start to… And that kinds of moves me to number five, which is exploring the PAC now of PACE again. So we’re going back. Once we get through the expansion, and we’ve done something in there, we might go back and say okay let’s look at our attention pillar. Let’s see what we’re doing in this pillar. Again guys if you have not listened to that episode or the C, the cultivation episode or even the preparation foundation one, go back and listen to these because these are things that you’re going to want to go back time and time again because we’re always going to be shoring up the foundation, we’re always going to be working on getting more attention, we’re always going to be working on how can we cultivate with a…. And really communicate with our list more in the future and build our list and just do all these cool things. How can we do that? So what we want to do here is again explore, this is number five by the way. We want to explore the P, the A and the C where can we go back into one of those that makes the most sense that’s going to drive our business to grow and scale it? What’s your thoughts on…? At that point what would you be saying like…? And I know what’s going to be business dependent… It depends. For me personally, I’d have to do a quick scan of your business but I’d be looking at those but I don’t think you can ever go wrong with getting more attention. I think that, I mean if I’m going to default back to something I’m like, “Okay, cool what do I work on now?” It’s like how do I get more attention now? How do I get more traffic? And because once I have those pieces in place like once I have my own… Maybe I’ve got my funnel in place how do I get more traffic to it? How do I run ads more effectively? [00:32:17] Chris: How do I go colder and colder there? [00:32:20] Scott: Talk about that. Like okay cold traffic, warm traffic just to kind of give you guys a quick little run down on what that is, explain that Chris. [00:32:27] Chris: Internally and this is something we don’t really talk about but we have a really bit of a different definition than maybe say like digital marketer, or some of those kinds of people. We kind of talk about hot, warm and cold. Hot people are people who have already bought from us. Warm people are people on maybe on our email list or who kind of know who we are just through the grapevine. Maybe they’ve seen people post about our stuff in a niche Facebook group. So they kind of know who we are. Cold traffic is people who have no idea who [inaudible 00:33:00] why we exist, maybe they are not even aware that Kayak bass fishing is a thing. That’s going to be cold traffic. Warmer traffic is going to be people who understand what Kayak bass fishing is but maybe haven’t interacted with us directly. Hot are going to be people who have either bought from us or have been on emails forever and have what’s called brand affinity. I’m saying sarcastically but they know who we are and they’ve interacted with us and it’s been a positive interaction for them. So typically when we started advertising it’s going to be to that warm traffic. Then we’re going to create our little hot bucket out of that. So it’s going to be people obviously who know what Kayak bass fishing is. But at some point we reach an upper limit of people who are actively interested in Kayak bass fishing and we have to extend that out to other people. Now when we do that, the logical place to start is just other bass fishermen who don’t know that a Kayak, you can bass fishing in a kayak. Then we go to trout fishermen. We just make that circle a little bit bigger, a little bit bigger, a little bit bigger until we get to a place where maybe they don’t even fish but they just like being outside. And when we go back to that attention pillar, that starts to massively increase the size of our business but it’s also a lot more difficult. So we don’t want to do that up front and when you say Scott go back and explore the P, the A and the C really before you get into this expansion phase I like to have those things up and running. It’s not necessarily like we need those 100% dialed in. They just need to be functional. They need to be there. Because if we’re doing those things that gives us an understanding, it gives us a solid base to build our business from. [00:34:37] Chris: And then once we start to diversify our products, we diversify our channels we need to go back and we need to really shore those up. We need to make sure that they are set, that they are in place and that we can rely upon each of those pillar consistently as we start to do the expansion stuff. Because what worked, and let’s just give the example of building our own funnel, if we want to add our own channel and that’s what we decide to do in that E, expansion phase, well what we did from an advertising or an attention getting perspective to create sales on Amazon probably isn’t going to be the same thing that makes that channel successful for us. I’ not saying forget about running Amazon PPC because that’s just silly. It’s free money. Please grab that free money. It’s like being in that money booth convention where they just blow $20 up in the air and you got grab as much of it as you can. That’s how I feel about Amazon PPC. But you can’t run Amazon ads to your own funnel. So you need to figure out Facebook or how to make that work for you or YouTube ads or something like that. And then that shores up that attention pillar. Let’s us go out to a different people, in a different way and create that message. Or even if you’ve already figure out how to run Facebook ads for a giveaway, you’re not going to run the same type of ad to a free-plus shipping funnel or to a full price funnel. You’re not going to do it. It’s not going to work for you. You might have some similar messaging that words might be similar, the pictures might look similar. Though the message overall is going to be different. And so you need to start understand those things. Once we’ve chosen our method of expansion we need to go back, we need to make sure that we have a solid foundation still and then we really need to dive in to the attention or the cultivation so that we can ramp up what we just chose to expand. Does that make sense? [00:36:23] Chris: We’re expanding the expansion. [00:36:25] Scott: Yes we are. You are like you said Chris, you are going to need those other pillars in place. Like I said, the very first one your preparation foundation like you can’t do any of the other stuff unless we have that. So we have to do that first. So if you’ve started your business and you’re up and running or if you’re at the million dollar mark of revenue or maybe you’re at the $10 million mark, you’re still going to be going through this process. Period. Like it doesn’t matter what size businesses you have and we found that. I mean, again like in the inner circle right now we’ve got some that are well over that mark. And not been taking away from your business. So it just comes a time that you have to analyze your business. You have to look at it. And that’s why we’ve done each of these as their separate episode. Because what I want you to do I want you to go through. I want you to give your business an audit in a sense. Go through this process. See where you are and where you need to spend your time. And then from there you move on to the next pillar. And that’s why we wanted to do this in four chunks really, in four pillars. Because each one has its place. And I think it’s really, really important. If you look at any business, any successful business it’s going to fall into these four pillars. There’s going to be work that they’ve done in all of these pillars. Now there’s some big businesses that are lacking in some of these and that’s fine but they could be doing a better job. If I’m in that top 1% I’m doing something right. If I’m in the top 1% in the world in the health or fitness or something like that, that’s the concept. Like you’re freaking Mr. Olympia if you can get the P right. But you’re at least in the contest, you’re at stage, you’re in the finals of Mr. Olympia. Then you add in the A and a lot of people get this right. But then they don’t know what to do with it. Like advertising now is so much easier than is has ever been. But it’s also much more intimidating. Because it’s easy to waste a lot of money. We can get a ton of eyeballs but then what do we do with them? C is where I start to see what kind of makes or breaks a lot of businesses long term. And I see it in businesses with 500,000 emails, I see it in businesses with 500 emails. They don’t understand how to create and foster long term relationships with their customers so they become commoditized. How do you sell a $4 bottle of water in the same refrigerator as a $1 bottle of tap water? If you go to Texas you have Fiji water for three bucks right next to Ozarka which comes out of the tap. It’s bottled municipal source, it’s the conversation that we had this week, right. And it comes right from the tap in a city and they just filled up the bottle of water and they sell it for 89 cents. So the bottle of Fiji that’s $3.89. Well how does Fiji do that? [00:40:10] Chris: Well they have different messaging, people that buy the Fiji bottle actually understand that it’s coming from a better source. It’s coming from all these things. If you don’t have that connection with your customers. You can’t sell it for $3.89. You’re competing just on price and a lot of companies even companies that’s successful for five or ten years run into that as competition starts to come into their market. We’re not talking about product specific competition here. I’m talking about market competition, right. E for me the expansion phase helps to bolster you doing even a mediocre job in the cultivation section. Because we’re becoming less dependent but it also is really the thing that is going to make us not just survive but thrive for the long term. Because the businesses that are the most successful have people working on them. Not people working in them. And that is the thing that most entrepreneurs even successful entrepreneurs, even people who have businesses that they build when they run their entire lives that is the part that they struggle with. And the example that just popped in my head here and let me know if this is accurate or not, but your dad’s construction business, did he work on that business or did he mostly work in that business? [00:41:38] Chris: Right and you were working in the business. [00:41:39] Scott: I was working in the business but in a sense I was also working on the business because in my head I was thinking I would potentially own the business one day so I had a little bit more heart into it, a little bit more drive. But I was also managing people. So I was a little bit of the working on but I was also in at the same time when he pulled himself out of the business it actually was doing better. His problem was his partner was… That’s for a whole other story. So bad marriage. But yes, you’re absolutely right. The business actually did better once he got out of the business, worked on it, instead of working in it. [00:42:13] Chris: Because you’re able to see the things. Like even as a manager of people. Everybody makes the joke like middle management in corporate. But middle management isn’t actually really important. They are the people who are doing the tactical implementation in managing the tactical implementation. You can’t have a CEO who says, “Here’s where we need to go,” if he’s also managing all of the people running Facebook ads and he’s managing the day to day product development. He’s writing all of the software. He’s running al of these things. He can’t set that strategic direction. And you can build a very successful business by doing all those things. But if you want to have a successful business over the long term, if you want a business that’s assailable asset that’s not 100% reliant upon you which is a huge mistake that I see people make right you get hit by a bus tomorrow the business vanishes. Well, that’s a problem. If you’re building that for your family or you’re building this as assailable asset that then becomes an issue. If you can’t take a vacation without losing 200 grand which happens to businesses, right? That’s an issue. We need to be able to bolster that. And that’s really one of the things inside of the expansion phase that I think is… It’s really setting you up… That is the thing that secures everything else. [00:43:29] Scott: It really does and it’s partly you’re adding fuel to the business but in the same breath that would also be in the A and the C because you’re creating awareness and creating a bond. But you are by being able to scale your business by you not doing the work necessarily but you’re having other people or automation help you do more so you can do more things to actually drive the business. Going back to my father’s situation though again, I was just thinking about that. Like we back in the day we’re talking, this is over 20 years ago. Brick and mortar and we were, we were just approaching the $2 million mark back then for Brick and mortar. The problem with not going to four or five was a partner. And the problem with that was the partner did not want to grow as far as… He did not want to change pricing. He did not want to add different sales tactics in a sense. Like different ways to upsell the job, he didn’t want to. And so by that there was a lot of resistance. So because of that he wasn’t able to really grow and scale at the level that we could have. Because if we could have done that well we could have been at $5 million. I could almost guarantee you. And that’s way back in the day. Nowadays it’s probably like a $10 million construction business. The other thing is though we were dealing with Home Depot starting to do their own installation and oh my gosh, my father’s partner was like what are we going to do. How are we going to stand apart? The thing was we never were affected at all. And the reason was it’s because our unique selling proposition to those people were we’re a family owned business, we’re going to be there, they’re just hiring subcontractors. That was our way of… And we still did very, very well and I think that that business could have…. We could have sold that business for a lot of money but that didn’t happen. But it did well for as long as… My father was in business with this partner for over 20 years. [00:45:36] Chris: Something that you just touched on there that’s interesting before we wrap this up. You talked about the partner wasn’t really willing to expand beyond $2 million. And one of the other things and this actually happened in the Inner Circle. Joel was talking about a conversation that he had with someone else in there. And a lot of us run into this mental thing where like I’m comfortable. Why would I grow my business? Well one, stability. All of the stuff that we’re talking about is making sure that this thing doesn’t disappear overnight. So that not only are you comfortable but you are comfortable and secure. But a lot of you say, “My business is $1 million a year. I don’t really want to do more than that.” But if you’re cultivating an audience, how many people in that audience are you not serving or are you not helping by doing those things. And one of the things that you just brought up, we have to be open to other things And it’s extremely important in business to not think that you have the answers. If you are the smartest person in the room you’re in the wrong room. Now there’s only two of us in this room, so maybe we should go out in the hallway. Maybe Scott needs to go somewhere else so that he’s no longer the smartest person in this room. But you talked about the sales tactics. Well, he wasn’t willing to do an upsell with Hurricane Glass or something. It doesn’t hurt you to offer that and not necessarily where you were then but where you were now. That might be something that somebody wants. They don’t want windows to shutter if you get a hurricane. You’re not only doing yourself a revenue disservice by not offering that but if you truly are the best person to help get those windows installed because you actually care about the quality of the job. You’re not just some you can hire up from the Home Depo that maybe hang a window once, you care about the quality, you want them to get the best thing. You’re literally doing them a disservice by not offering that because then they have to go to home depo and get the crappy guy to install it for them. And so not only did they go spend their money somewhere else and you lost revenue but they are worse off because they didn’t get it installed properly. [00:47:34] Scott: You’re absolutely right. We did care about our customers and really we did stand behind our products and they’ve had a problem with their… It wasn’t like they had to go through a bunch of channels to get to the person. I actually went in to get a carpet, an estimate carpet from Home Depot, it was a whole process to get someone just to come to my house. I’m like no, I’m not doing this. I’m going to the local guy up the street that’s been in business for 25 years with his son. And I did that because it was a hassle. You know what I mean. Like some feel Home Depot, big company, they are going to be around forever. Sears was doing siting for years. We competed with them all the time. And we got a lot of jobs from competing against them. But anyway, that’s for a whole other conversation. Yeah, remember Sears? But going back. I’m going to end on this. Going back on like you said, like stunting the growth like the partner stunted the growth because they didn’t want to do those things and they didn’t want any of our salespeople to do those things. You can do it in an ethical way. You’re doing it not to, like you said not to try to trick someone like honestly like you’re talking about certain glass. There’s Lowe Argon glass which basically Lowe is like… You can’t see it but it’s a film that’s on the glass that actually… It reflects heat. So basically if it’s hot outside, it’s going to keep the hot air out… It’s going to keep the heat outside. [00:48:53] Chris: It’s going to keep your house warmer in the winter and cooler in the summer. [00:48:55] Scott: Exactly. Argon is a gas that was filled in between the two panes of glass which actually again insulated it further. And we would have a heat gun in the house and we should show them okay, it’s 100 degrees outside, boom you heat it, it’s this. You can show them that example and it would be like a $25 upgrade per window. So $25 for Lowe Argon and then maybe you’d say okay grids, we want to put grids in your window. Do you want grids? Grids are just those white things that make it look like a country home and there’s different styles. Those are 25/30 bucks. Do you want your windows cased on the outside with aluminum so that you don’t have to paint your outside casing? That’s 40 bucks. So by the time you’re done you take a $200 window you bring it up to a $300. And a very, very simple thing but didn’t want to do it. So that’s a problem. [00:49:37] Chris: You’re giving them the customer that option then. And oh by the way if you have grids on your windows and you hate them you do know you can just take them off. [00:49:48] Scott: Well, in this case they can’t because they were between the two panes of glass. [00:49:51] Scott: No, that was better because guess what, the people that had grids, it was a pain to wash the windows in between the panes. Now you just wipe your window, you have the grids and you’re good. So now the windows that we saw they were in between the panes and that was a selling feature. Anyway, enough window talk. But it does go well into what we had… Etch glass too. If you wanted to do etch glass. That was premium money. So you would do like etched into the glass, you do like these little designs that you could do in the glass that would be like a flower or something like a garden window or something. Let’s know how you’re going to fix it and how you’re going to fix it and then we might let you start selling again. Who wants to wake up to that email? Not me, not you. So we would definitely not want to do that. So anyway, hopefully this has been helpful. This is the fourth part of PACE. We did an overview as well. So technically there’s five podcast episodes that we did. I’m actually going to link all of these up, Chris at a very convenient link. And that I theamazingseller.com/pace. [00:51:45] Scott: So we’re going to go ahead and link those up on that page. This way here you guys can go back and you can listen to all of these episodes and this way here it will make a lot more sense. I’ve also did four whiteboard videos. They should be all posted by the time this airs. I will also link that up inside of that post. And then the other thing I did want to bring up is if you guys are at that level, if you’re at the level of you know I want to grow my business beyond $500,000 a year or a million dollars a year, if you’re at that point and you would like to be part of one of our Inner Circle groups, our TAS Inner Circle groups, you will have to apply but you can by doing that over at theamazingseller.com/mastermind. And you can go over to TASinnercircle.com. Either one of them will take you to the same place. Now, probably TASinnercircle.com will be the best place to go there. But there’s an application process. You do have to be at a certain in your business but if you want us to help you grow your business using the PACE method and really like analyze the business but then also dig in and really be a partner in the business in a sense. If you’re interested in that definitely go do that, we’d love to work with you. So that’s it, Chris anything you want to wrap up with? [00:52:56] Scott: We’re good. All right guys. So as always remember, I’m here for you, I believe in you and I’m rooting for you. But you have to, you have to… Come on say it with me, say it loud, say it proud… Chris is going to say it not on the count of three. We’re going to say it right now. Oh, oh, let’s do count of five. One, two, three, four, five. “Take action.” Have an awesome, amazing day and I’ll see you right back here on the next episode.